SAN FRANCISCO (CNNMoney) - The fear factor surrounding self-driving cars appears to be slowly receding. 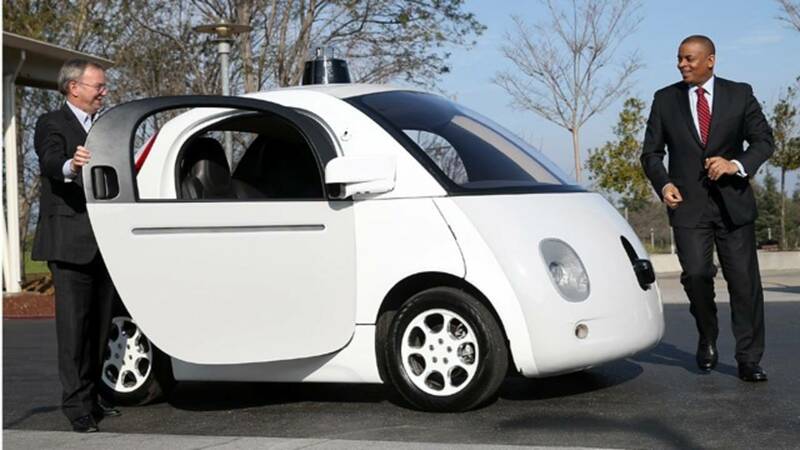 AAA released a study Wednesday showing that 63% of Americans are afraid of riding in a self-driving vehicle, down from 78% the previous year. This is the third year that AAA has polled the U.S. population on how people feel about autonomous vehicles. The prior two years had shown a consistent level of discomfort. "It's great to see the easing of fears," Greg Brannon, AAA's director of automotive engineering and industry relations, told CNN Tech. "The reality is consumers need to not be afraid of these technologies because they hold the promise to save lives." Brannon pointed to increased media attention on self-driving vehicles and the growing prevalence of features such as adaptive cruise control as triggering the shift. Automakers from GM to Tesla offer these features, which reduce the driving burden on motorists. They're also a small taste of the future of transportation, in which steering wheels and gas pedals disappear as vehicles become fully automated. Advocates of self-driving technologies point to them as a way to reduce the huge number of people killed in motor vehicle crashes worldwide each year. That number stood at 1.25 million in 2013, according to the World Health Organization. Advocates also expect autonomous transportation to improve the mobility of the extremely young and old, who are unable to drive vehicles today. But the AAA study found that older Americans were less likely than younger people to be comfortable riding in or sharing the road with a fully autonomous vehicle. The findings also showed a gender gap, with 73% of women afraid of riding in self-driving cars, compared with 52% of men. The survey gathered the views of 1,004 adults in the continental U.S. in early December. The autonomous vehicle industry has taken steps to increase comfort and understanding of the disruptive technology. Waymo, the self-driving arm of Google's parent company, launched a campaign last year entitled "Let's Talk Self-Driving" to educate the public about the vehicles. Many experts predict the technology is likely to be broadly deployed across the country by around 2020. Waymo announced in November that it was removing test drivers from the driver's seat of its Chrysler Pacificas operating in the Phoenix area. It also announced this week its expanding tests to Atlanta, an indication that its vehicles may be available in another region before long.